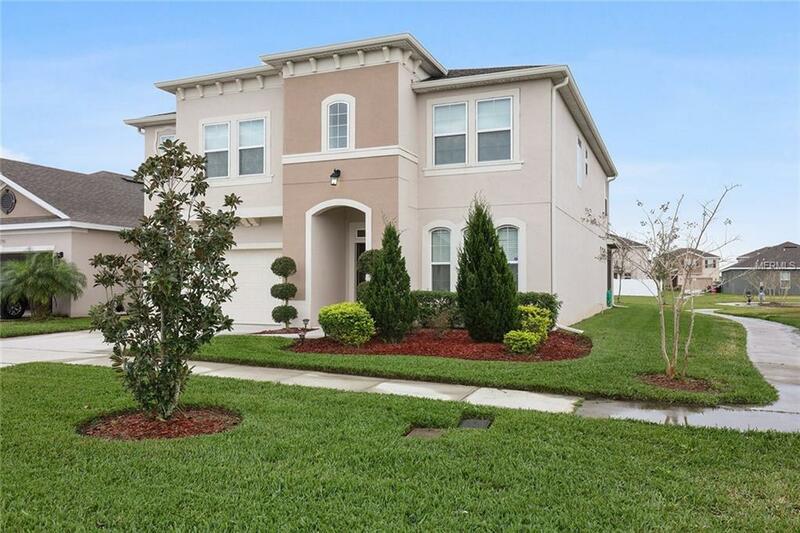 Beautiful Summerlin model in the desirable Beacon Landing Community near Lake Nona! 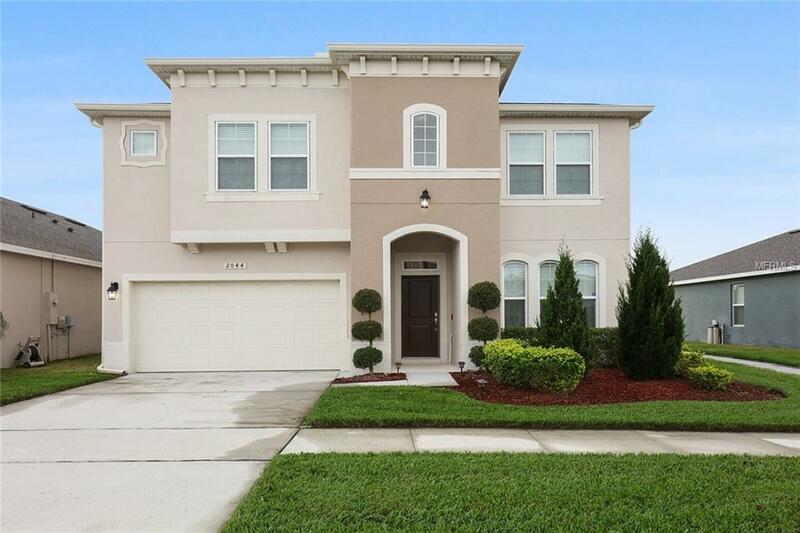 Perfect for a growing family by offering plenty of space with Two Master Bedrooms and one Guest Bedroom on the first floor. Main Master Bedroom Suite upstairs with tray ceilings, shower, soaking tub, dual split vanities and of plenty closet space. 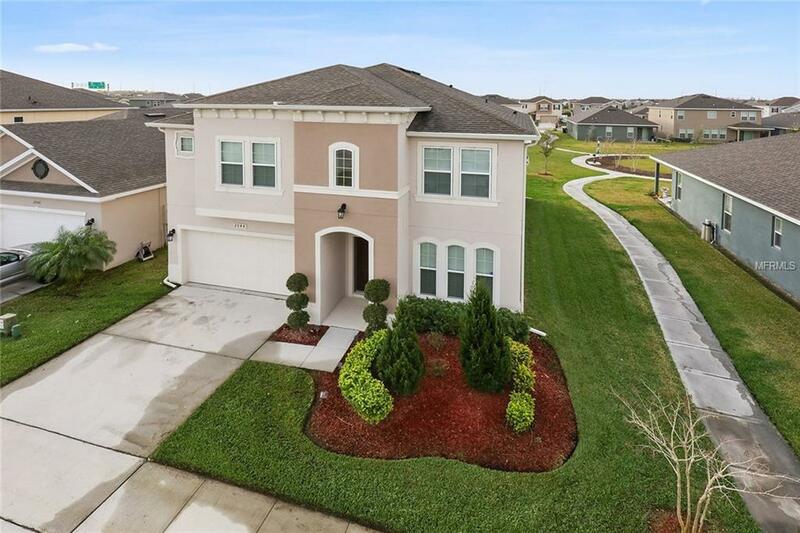 The Foyer and formal living room are well-placed by the main entrance and are laid out to leading you to spacious kitchen featuring granite countertops, stainless steel appliances, lots of 42 cabinetry space, overlooking family room along with a breakfast nook. 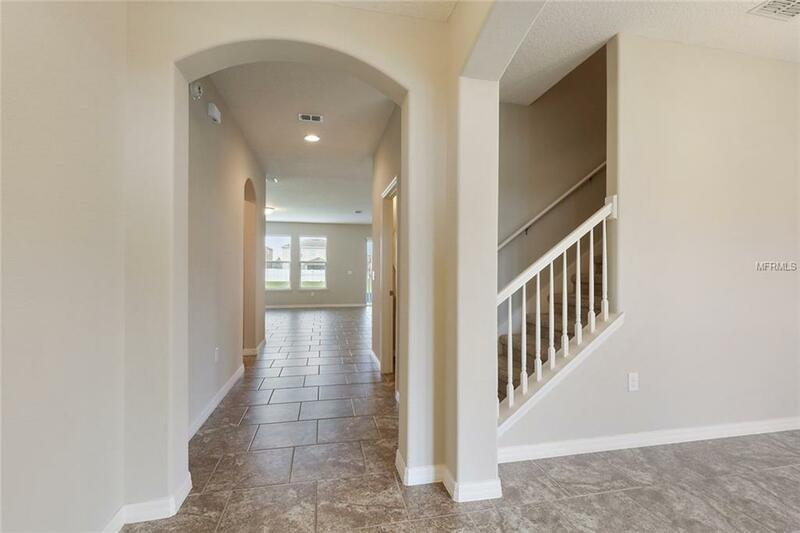 Enjoy the walking trails from your covered lanai. Located near shopping, major highways with a short drive to the world best attractions. A must see!